Her research activities are rooted in image theory and include, inter alia, work on the history of scientific moving images, the productive interplay of Gestalt perception and calculation in the usage and creation of visual specimens in ethology, as well as the visual logic of surveillance images and its documents by the example of the former Ministry of State Security. 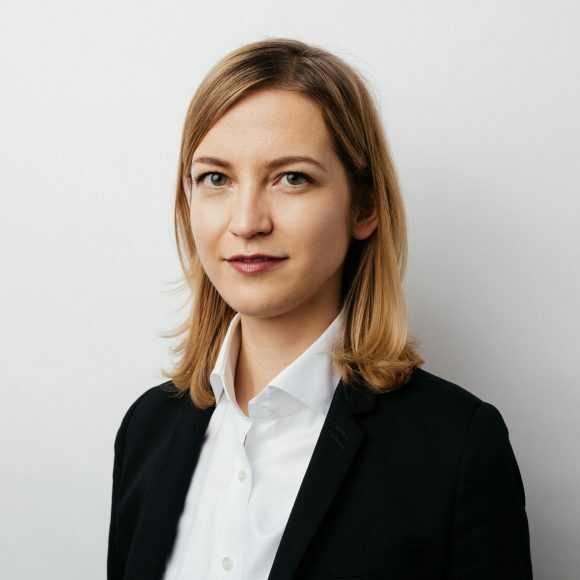 In her master thesis on »The speculative image« she investigated selected surveillance films of the former GDR-Ministry for State Security (Stasi) with regard to their prefiguration of dissidence and the conflictual process of their entry into the estate archives of the secret service. A first article on this research project appeared in the 2016 issue »Medien der Bürokratie« [»Media of Bureaucracy«] of the journal »Archiv für Mediengeschichte«. Between 2015 and 2018 she was a research assistant at the Department of Cultural History and Theory (Teaching and Research Area Cultural Theory and Cultural History and Theory of Aesthetics, I. Därmann) at Humboldt University of Berlin. Together with H. Engelke she does research in the DFG-Heisenberg-project »Transdisciplinary networks of media knowledge« at Philipps-University Marburg since the spring of 2018. She is a member of the research area »Knowledge of Life« of the Leibniz-Zentrum für Kultur- und Literaturforschung (ZfL) in Berlin as well as Associate Member of the Kolleg »Configurations of Film« at Goethe University, Frankfurt. Starting from March 2018 she is a visiting scholar at the Berlin Museum of Natural History. In her doctoral project examines the cultural and knowledge history of behaviour. German translation: »Ästhetiken des Protokolls«, in: Janek Müller, Niklas Hoffmann-Walbeck (Hg. ): Ein Archiv von Hitze und Kälte. Kunstfest Weimar 2018, S. 109–114.